Another anniversary is here. We are reminded of what happened in New York and Washington, but not so much about Pennsylvania. 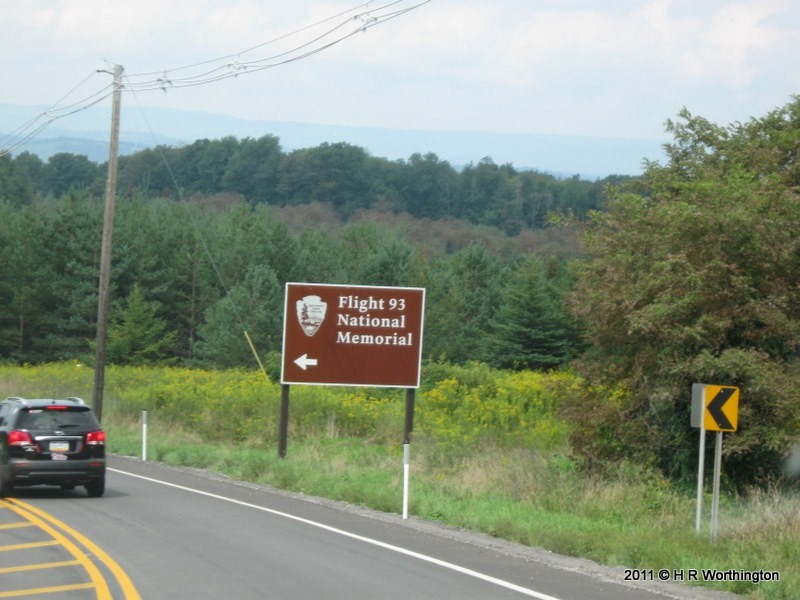 Two years ago, Patti and I decided to take a trip to the Flight 93 National Memorial. 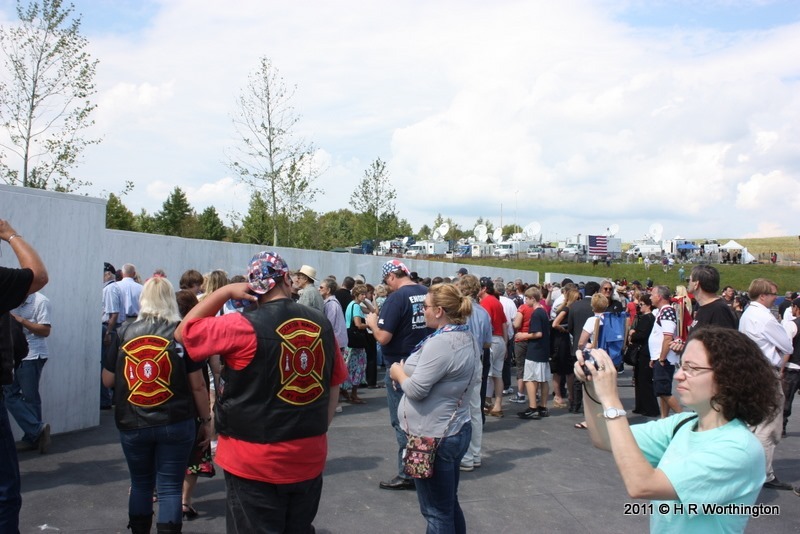 When we arrived, there was a delay for our entry into the Memorial area. What we didn’t know, was that President Obama was meeting with the families of those that died 10 years earlier, on that sacred ground. 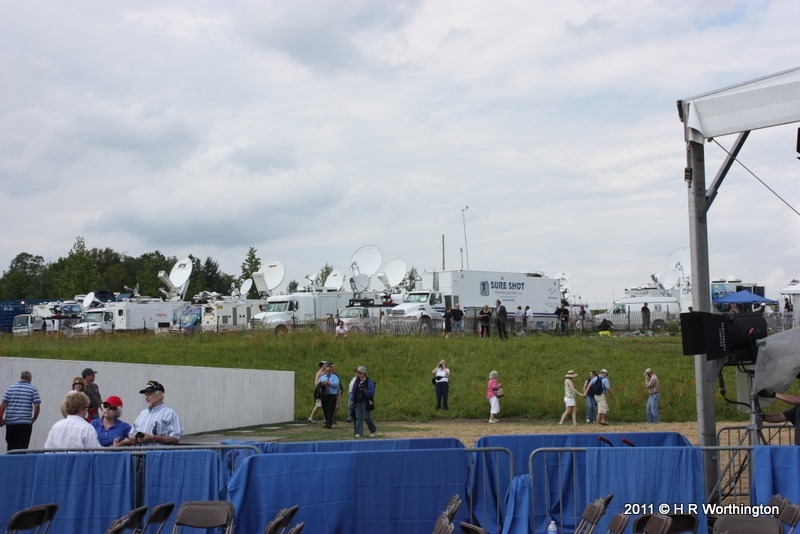 The presidential choppers took off from a near by field, and we were allowed in. We passed many family members leaving as we walked in. The press was there, of course, asking questions. but for many of us, it was a time to remember. 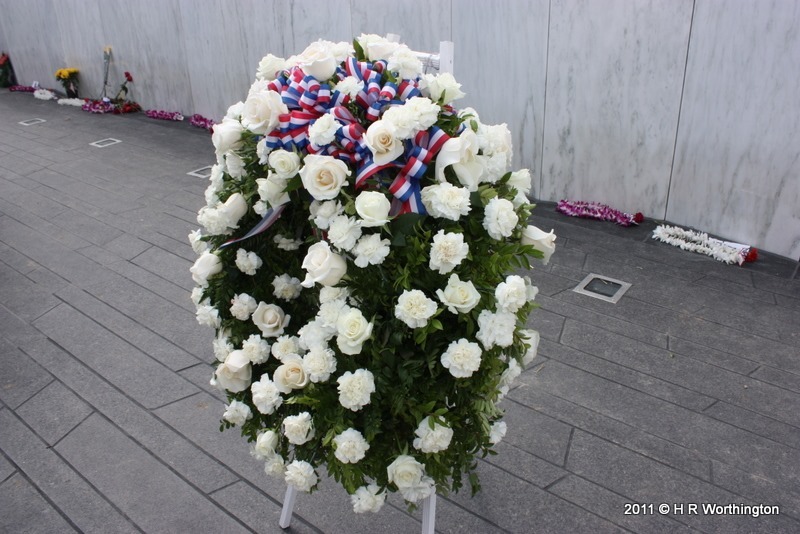 Not necessarily for our family members, but for those who lost family on that day. There are family members in the picture above. 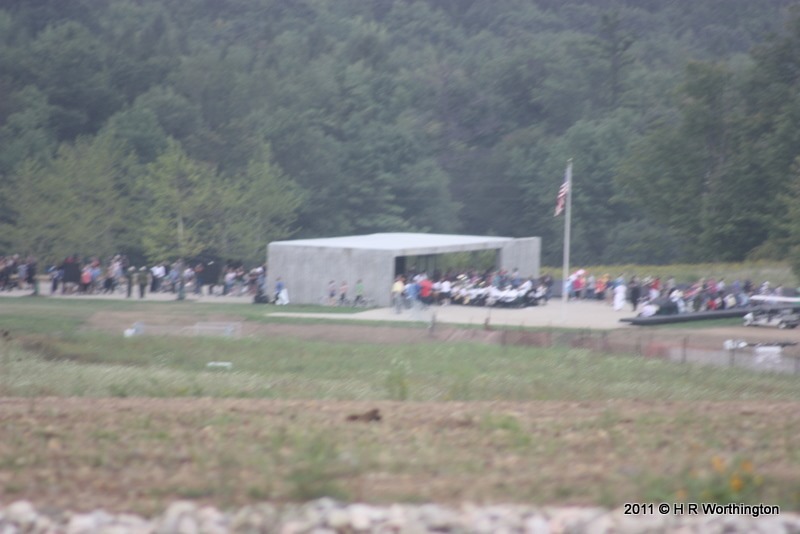 Below, is the resting place for Flight 93. We would find out later, that our President put flowers on that sacred place. 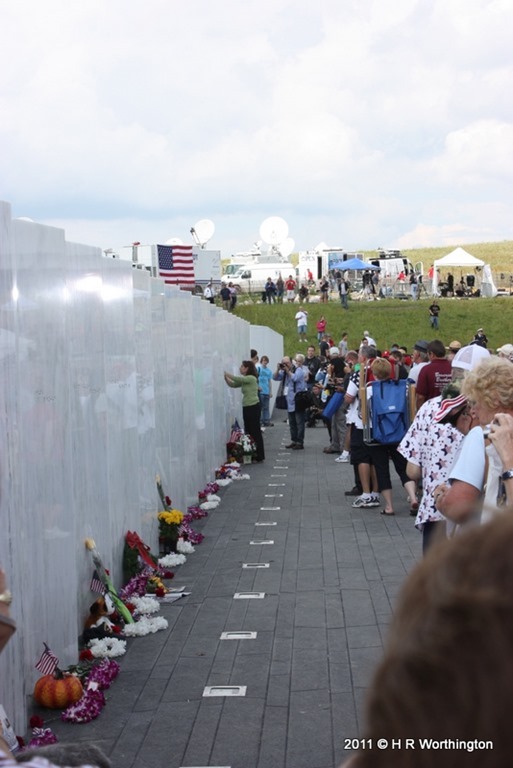 The memorial was very plain, but appropriate. On this day, many people were taking pictures. There were many stories, left behind. Looking down the wall, which was the actual final flight path, beyond a wooden gate, was the mound of dirt, where the plane rested. 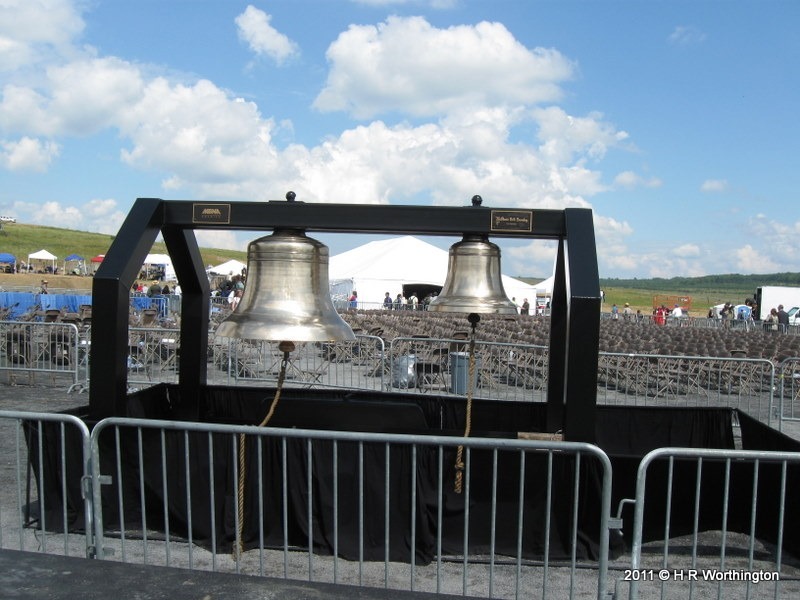 As with other memorial services, these bells were rung. 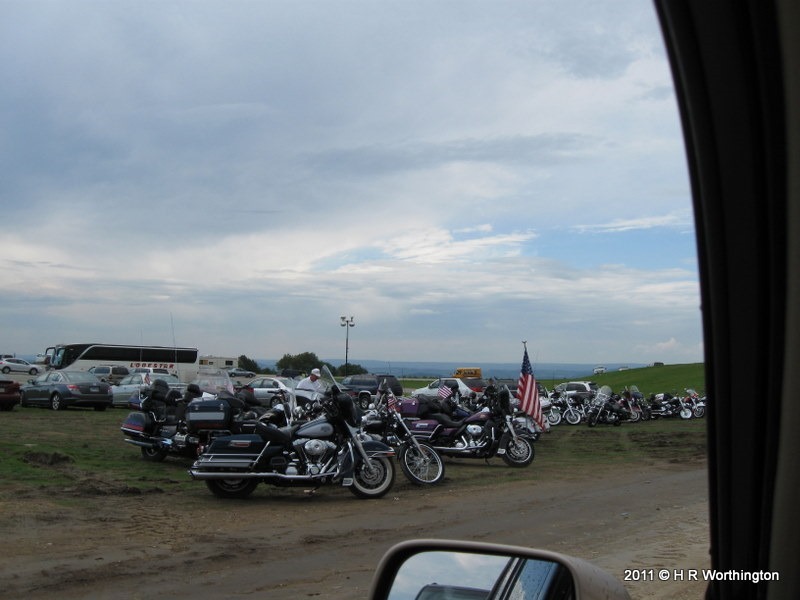 And motorcycles, many, many motorcycles, many with American Flags. 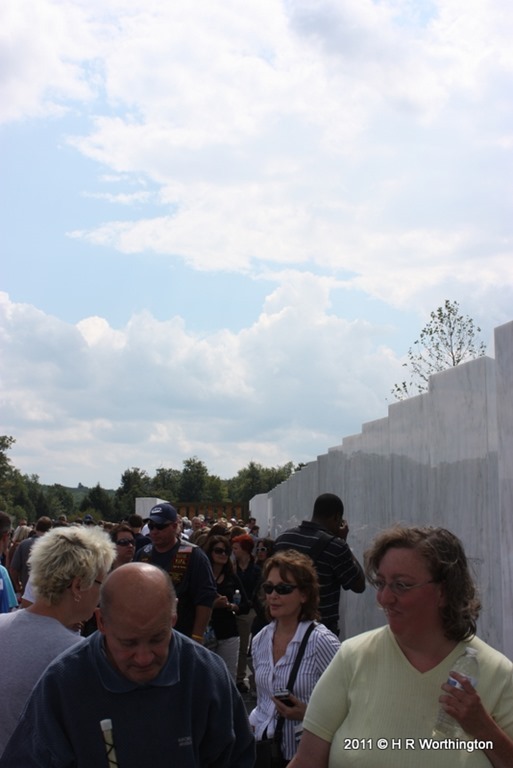 The entrance to the Memorial, with the wall just to the right of this picture. 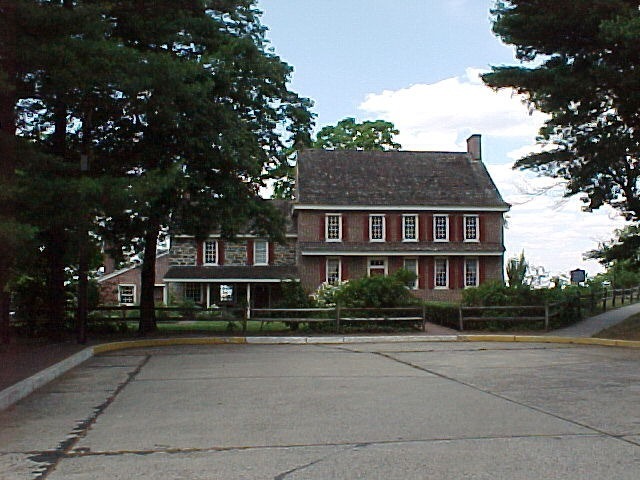 I have been following a Blog, Historic Places in South Jersey, for some time and have been in contact with the Blogger. 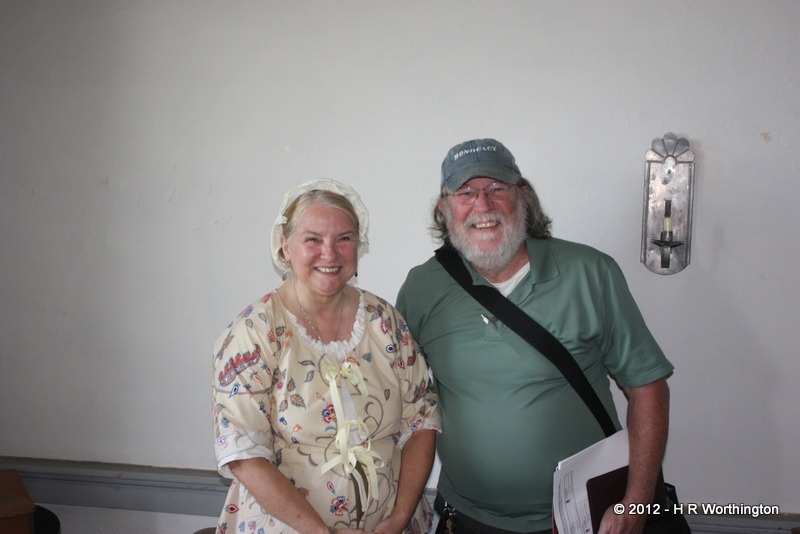 Afterall, she is a docent at my 5th Great Grandparents home. Yesterday, Sunday, I noticed this entry. Gee, a Genealogy Day at the Whitall House. Quickly had Patti text to Carrie, to let her know what I was doing, showered, and out the door in record time. Once again, I am reminded how nice it is go live within 4 or 5 hours from where my ancestors lived. This one is about 1 1/2 hours away. 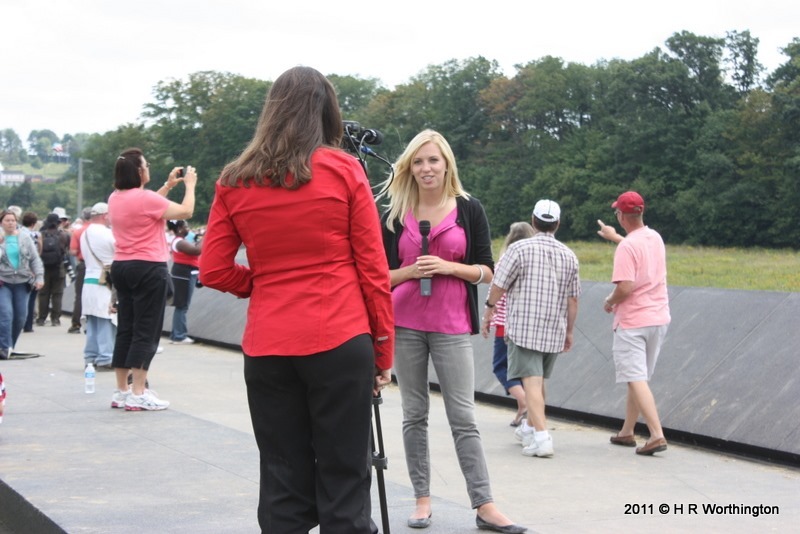 My first item on the agenda was to meet my blogger buddy. Found her in the “hospital”. Finally, got to meet her in person. Way cool. Carrie arrived, and the fun began. We went back to the “hospital” and introduced Carrie to the “nurse”. This room was presenting what the room may have looked like, during the battle that took place at Fort Mercer, right next door. 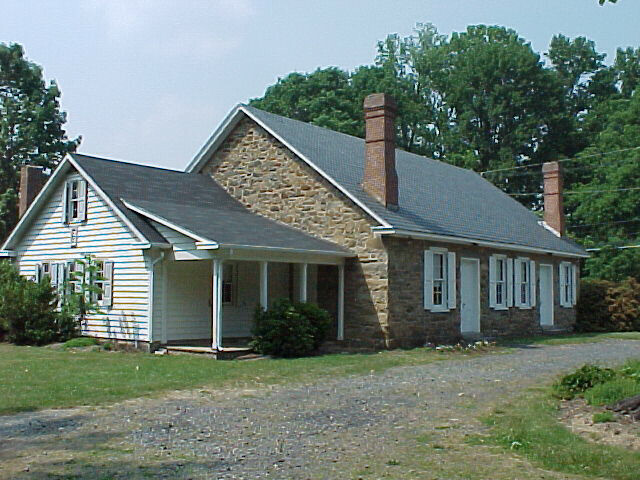 Ann Cooper Whitall opened the house to “both sides”. 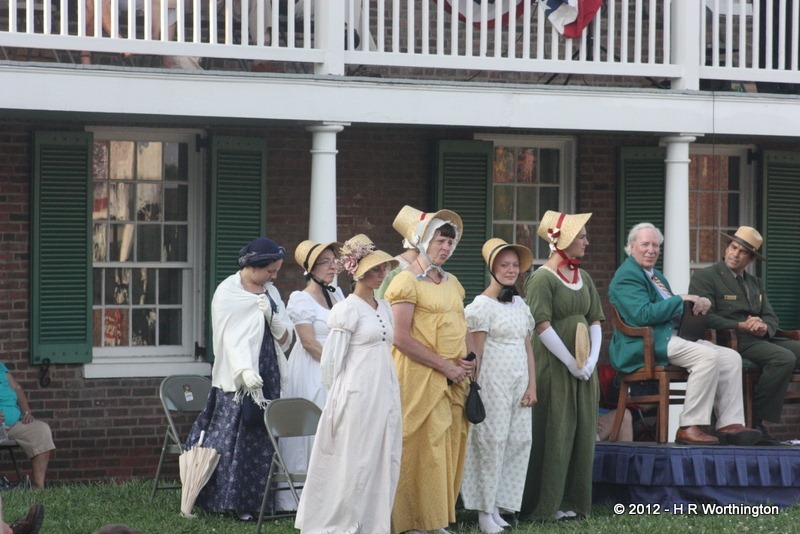 This, as I understand it, would not allow Carrie to join the DAR, due to recent activities that took Ann Cooper Whitall from being a Patriot, as she took in both the both sides of the war. In the next room, we would meet “new cousins”. A gentleman and HIS daughter, for the same reason, visiting our Ancestors home. We are in the “front room” with the “hospital” behind us. 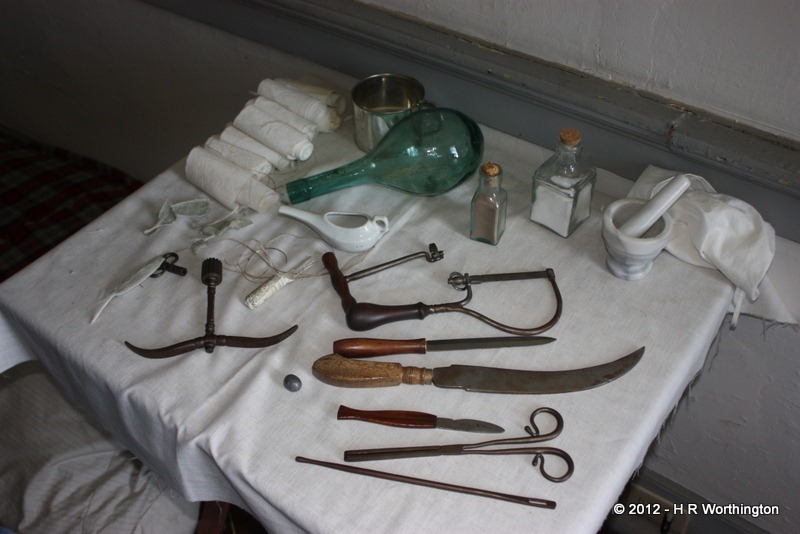 We would spend the next hour or so, walking through the Whitall House, sharing stories. Now to begin our journey in sharing our research and see how we are related. We are descendants of James (1716-1797) and Ann Cooper Whitall (1717-1808). 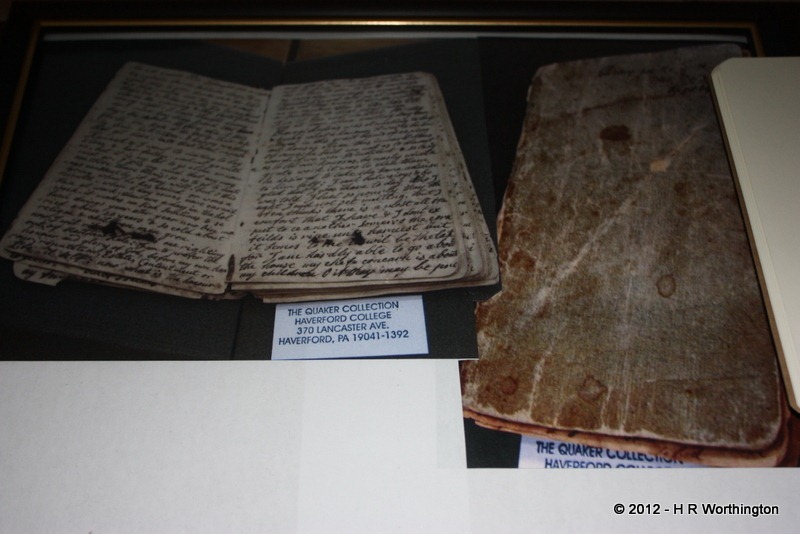 One item of interest, is that Ann Cooper Whitall kept a Diary and it was on display. It was a day trip, for me, to be in Frederick, Maryland to hear more about Special Orders #191. I went and had a great time. I learned a lot, not only about what happened to the Lost Orders, but why it was important to the Civil War. 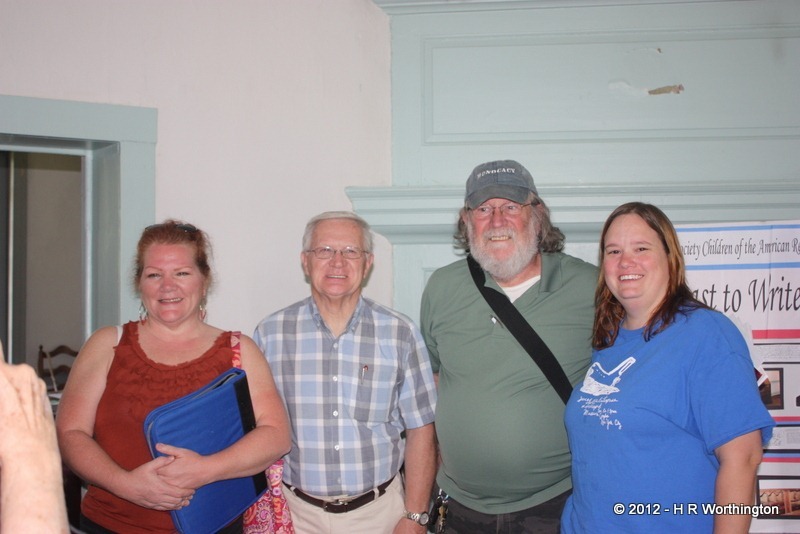 There was a lecture on the topic, and a panel discussion by three Civil War Historians. In attendance were descendants of the two gentlemen who discovered these orders. 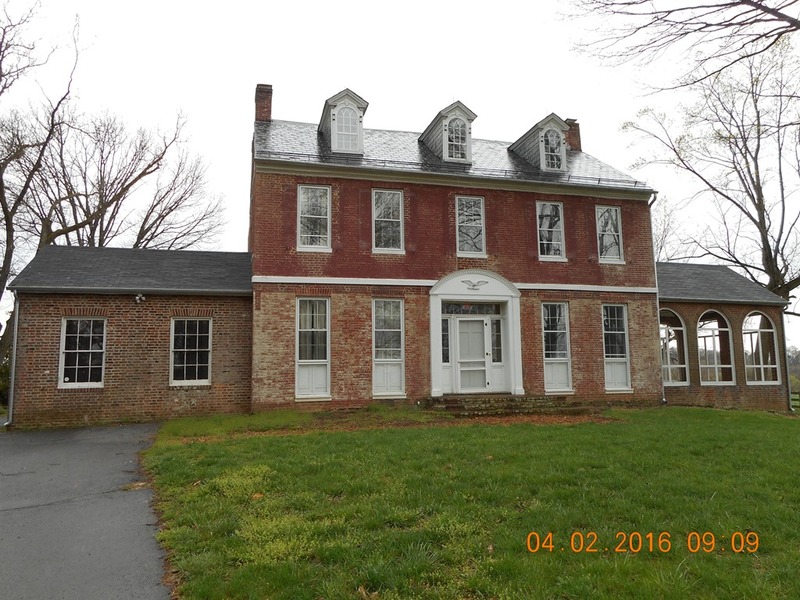 I won’t go into the details, but what is important to me, and why I spend the day driving, was that the Monocacy National Battlefield has, within it’s borders a Worthington House. I got to see the actual paper that these orders were written on, as seen in the video and are on display at the battlefield, but to be WHERE they were found. Or at least the area. That was close enough for me. What I learned from that visit, was not so much about the orders themselves, but more about what I learned from the Inferential Genealogy study that I did “in Second Life”. You may recall I mentioned two people, at the Battle of Gettysburg, who fought against each other and that their Grandfathers fought with George Washington. Brother against Brother took on a new, real, meaning for me. Author Dennis E. Frye, “September Suspense, Lincoln’s Union in Peril” was the presenter and was on the panel, described Frederick, Maryland during the time of the Civil War. 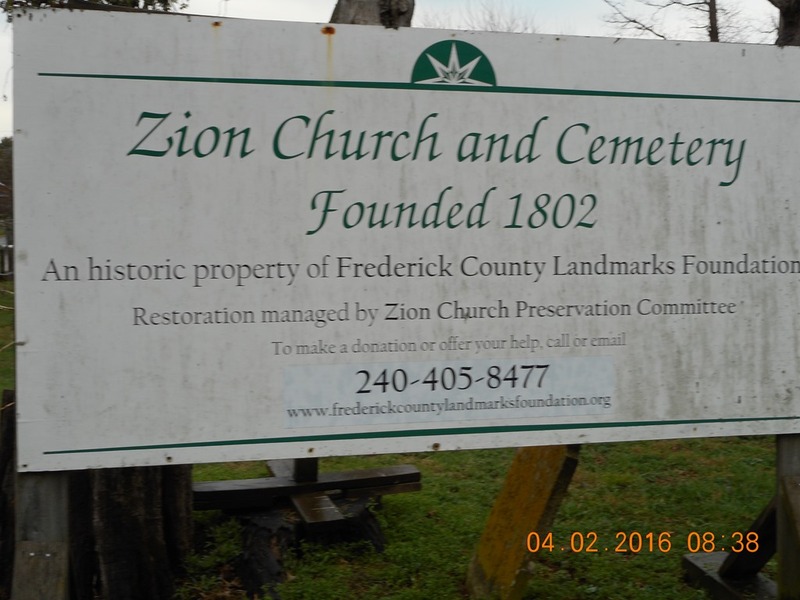 What surprised me, was that Frederick was “Union” friendly. Knowing that Baltimore was 50 miles (plus or minus) away, but was a “split town”, as was Maryland, split between the North and South. The study I did was on Confederate’s during the Civil War. 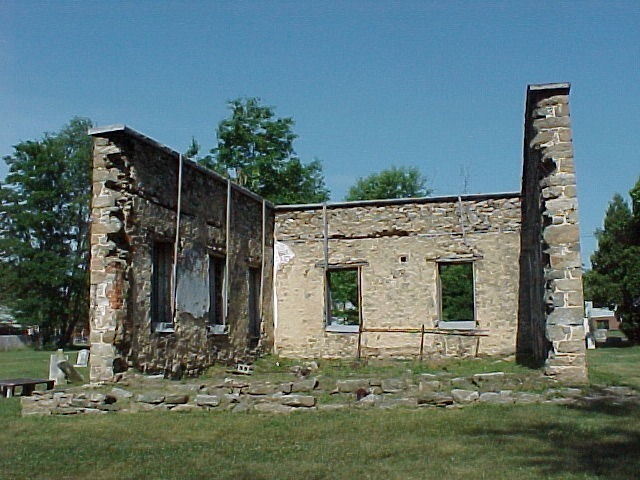 Why were towns, so close together in my mind, so far apart at the time of the Civil War. I had a chance to ask Mr. Frye about this. 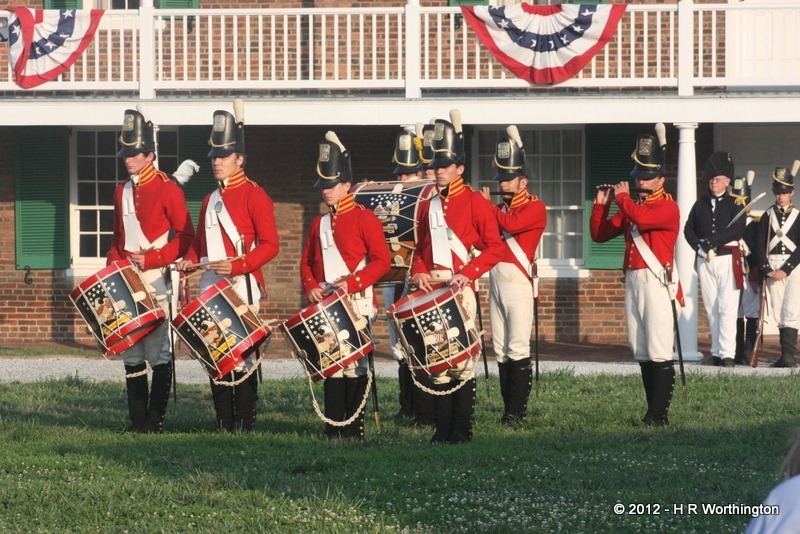 What he explained to me, was that the settlers of Frederick were Welsh and had come down to this part of Maryland from the port of Philadelphia and not the port of Baltimore. Knowing the Philadelphia area, and a bit of it’s history, that all made sense to me. Having just driven from northern New Jersey to Frederick that morning, it made total sense. The lecture was fantastic. He told the STORY of Special Orders #191, “including citations”. Of course a Historian would have citations, but the reading of the articles he quoted helped put the “story” into a real place. His book has 23 pages of End Notes, and 6 pages of Bibliographical information. 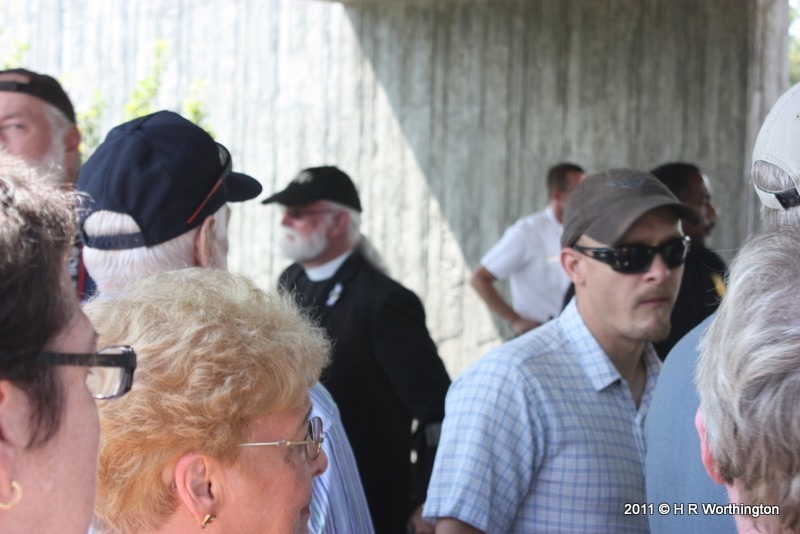 The Panel included two other Civil War historians. The moderator took questions from the audience and asked the panel, in turn, to answer the questions. That is when the discussion became interesting, as each historian, had their own interpretation of the data from their studies. 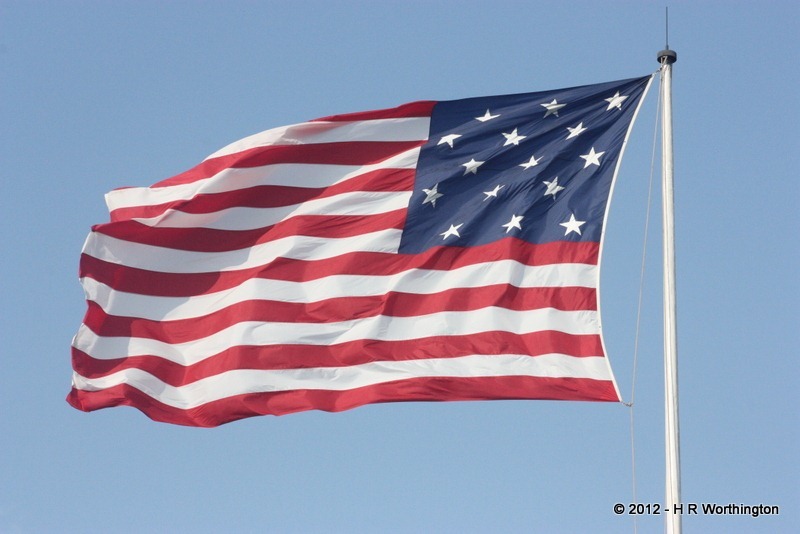 August 4, 2012, is the 222nd Anniversary of the start of the United States Coast Guard. I spend 4 years in the Coast Guard, 39 month’s of which was on the United States Coast Guard Cutter Halfmoon (WHEC-378). 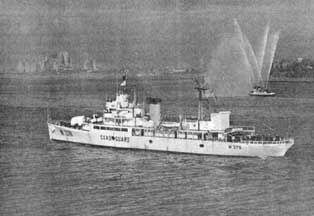 This picture is of the Halfmoon returning from our tour in Vietnam, with normal Naval tradition of a naval vessel returning from a war. 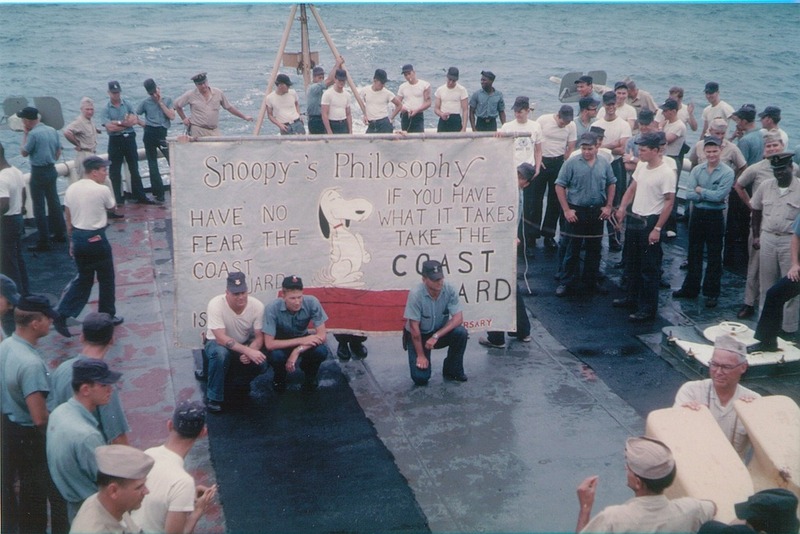 While we were on our tour, on this day in 1967, off of Vietnam, we celebrated the anniversary. Snoopy was our ‘mascot’ for our tour. So, Happy Birthday to the United States Coast Guard and for All of the men and women who served our country. 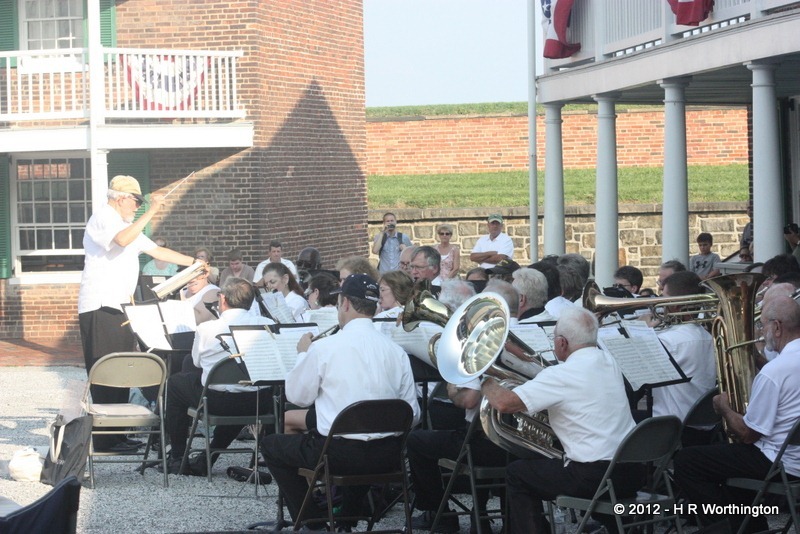 We started at the Civil War National Battleground at Monocacy, just south of Frederick, Maryland, traveled a little east to the Worthington Valley in Baltimore County, and Montmorenci and on to a family reunion. 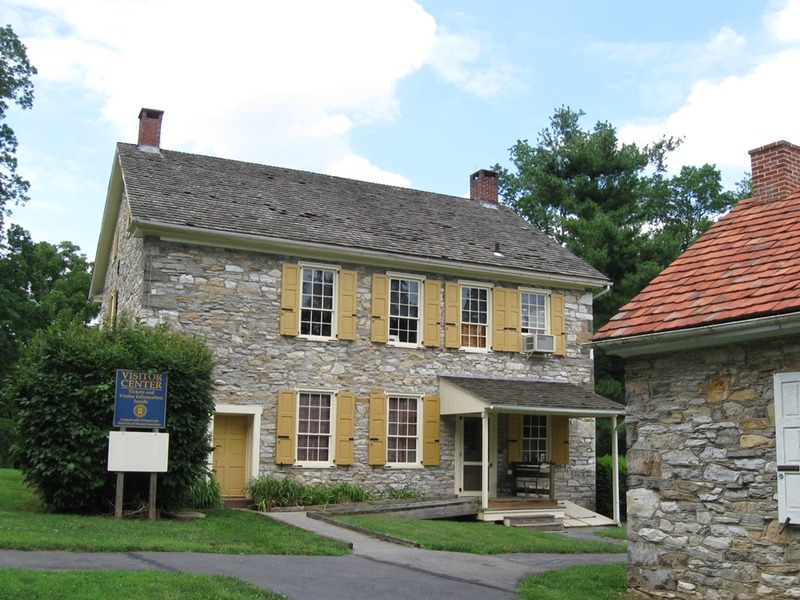 As mentioned before, these first two stops are homes of a Captain John Worthington descendant. 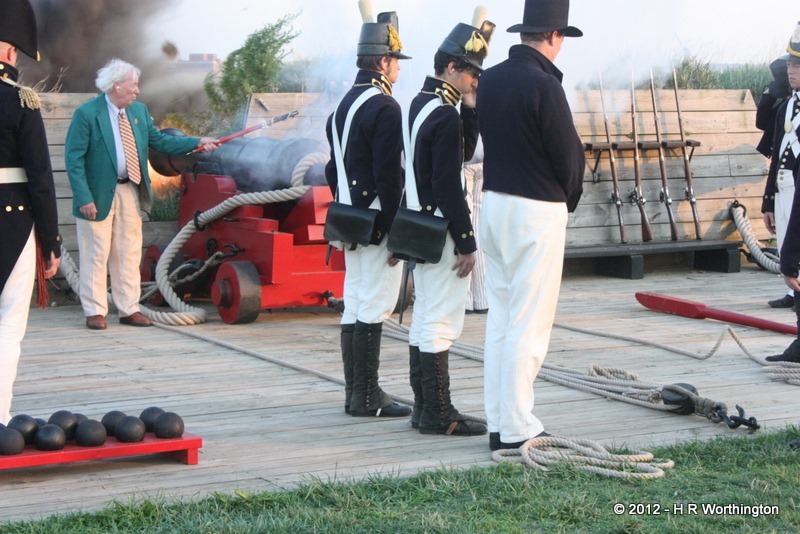 This next stop is where my Captain John descendant moved to from Annapolis Maryland. Charles, was born after Capt. John died, but moved to Harford County Maryland. 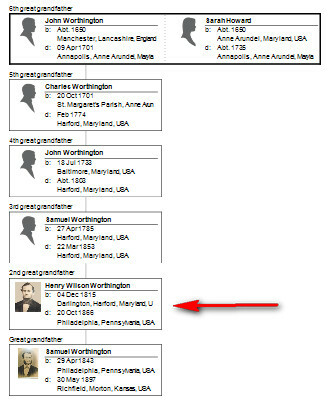 Henry Wilson Worthington is my 2nd Great Grandfather. 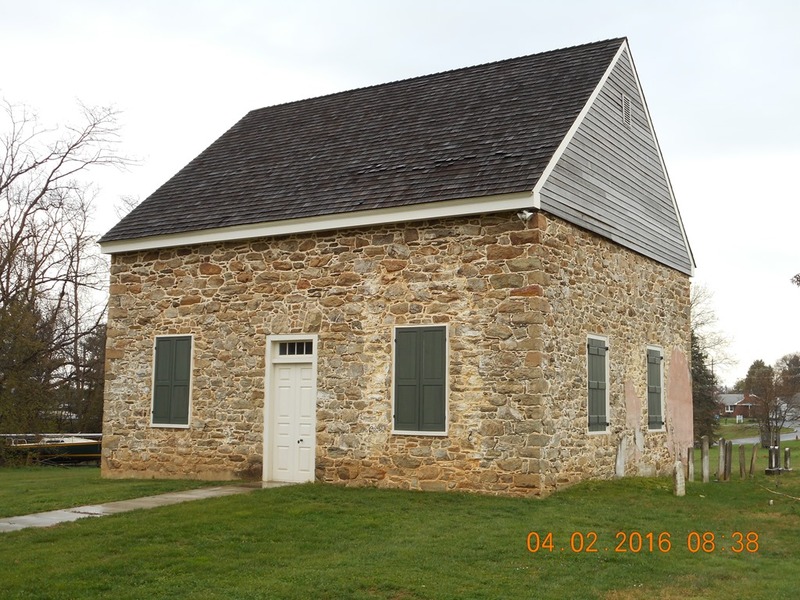 The move was to Darlington, Maryland and were members of the Deer Creek Quaker Meeting. The best that I can determine, because of the second marriage of his mother, Sarah Howard Worthington to John Brice, Charles was influenced to return to being a Quaker, from his mother and step father’s tradition. Both the Brice and Howard families from what I have read were Quakers. We will join the family reunion at a near by State Park. I have not attended this reunion before, but apparently it is an annual event. I am excited to be able to meet up with some new “cousins”. I have no clue as to how much genealogy will be discussed, but I will be prepared with iPad, Camera, research material, some books that I have created and a digital recorder. 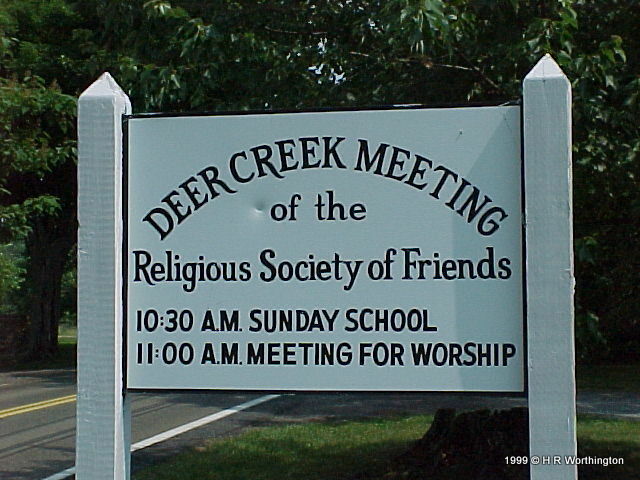 Although I have been to Deer Creek in the past, I have not spent a lot of time studying the area. 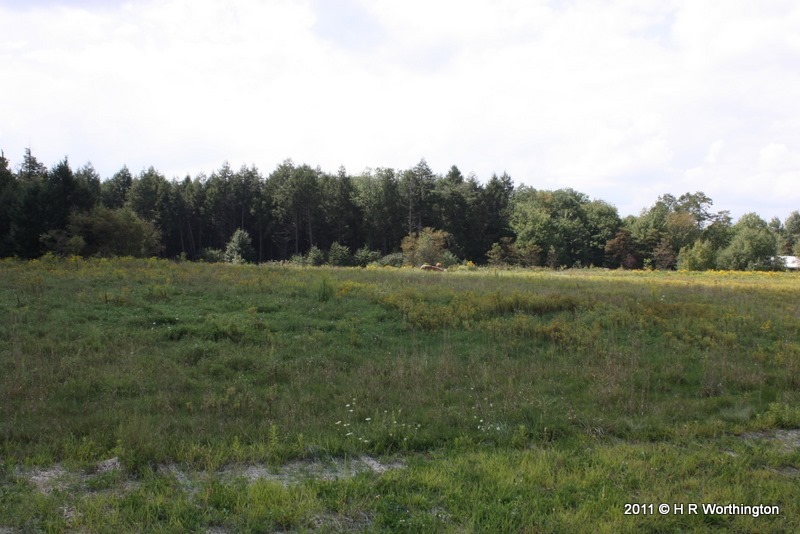 It’s rumored that one of the Worthington houses in this area was / is haunted. More to follow upon my return.